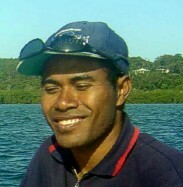 I am from Iwa Island near the Trobriand Islands group. I remember, when I was just a kid in the 1980s, the Eye of the Wind visited Iwa on several occassions. The most impressive thing that I never forget is when our traditional canoes (12 in number) were returning from Kitava Island which is in the west of Iwa. 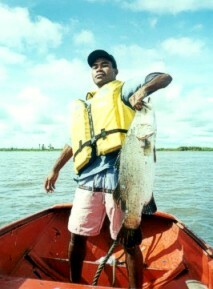 Due to bad weather only one caneo reached Iwa and the rest were missing. After a week we learnt that the rest of the caneos had drifted to Kiriwina, the bigger Island of the Trobriands, except one which went missing. 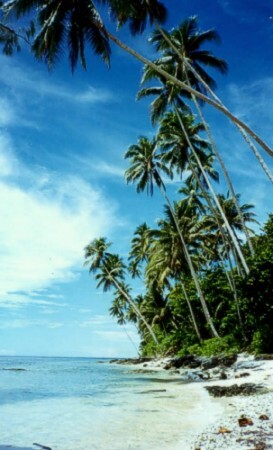 Thank goodness the Eye of the Wind saved that caneo when it intercepted it drifting between Trobriand and New Guinea. Everyone was saved, the Eye of the Wind had to sail to Iwa Island to drop of the young children who were among the sailors on the canoes. Thanks for that unforgetable help. The local on Iwa Island will always remember Eye of the Wind. I have gone through high school and unversity in New Guinea and I am now doing post graduate studies (PhD) in Australia and when I saw the pictures of these old ship, sure I'll tell the Iwa people when I go back to Iwa. Find attached 2 pictures of myself. 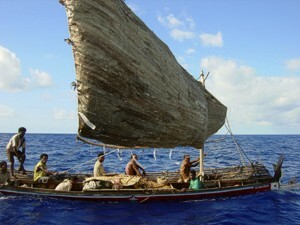 I have also included a a typical Iwa canoe, although it is not the same canoe that the Eye of the Wind saved (which had been destroyed by cyclone in 1993). 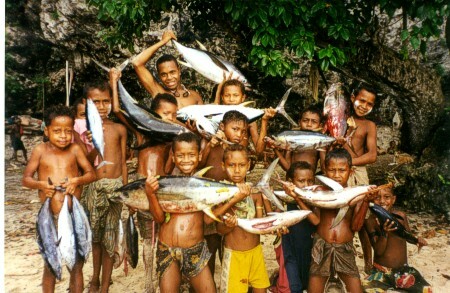 I have also put some pictures of Iwa Island and children carrying tunas. Children at this age would be already introduced to the art of fishing and seamenship on the local canoes, thus some of the children that Eye of the Wind saved are among those in the picture. One of the sailors of the ship at that time was I think Landon or Landen, I am not sure how the name spells but fortunately a child was born in the same year and one of our canoe sailors named the baby Lendon/Landen (?). I'll be very interested to get some of the sailors contact me if they are interested.